For more than 18 miles, concrete and steel columns holding up Interstate 10 between Baton Rouge and Lafayette in Louisiana rise out of a swamp. 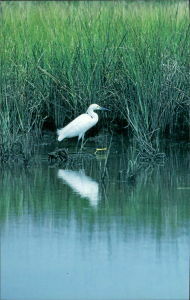 Not just any wetland, but the Atchafalaya River Basin Swamp, which covers a third of the total landmass of Louisiana. The Atchafalaya what? Unless you’re from Louisiana, you’ve probably never heard of the Atchafalaya Swamp. Still, it is the largest lowland region saturated with water existing in the United States. The Atchafalaya Basin is not a lake but a river’s overflow that’s contained between two levees. A distributary of the Red and Mississippi rivers, the Atchafalaya River branches southwest from the Red River in east-central Louisiana and flows south 140 miles to Atchafalaya Bay on the Gulf of Mexico. The name is a Choctaw Indian word translated as “Long River”. Actually the truth is, for the volume of water it carries, the Atchafalaya is one of the shortest and most significant rivers in the world. For hundreds of years, people of American Indian, African, Caribbean, French, Latino, European and American descent have lived in and interacted with one another throughout the region. As far back as 2500 years ago, American Indians lived in the area, which features Indian mound sites and villages dating from around 700 to 1700 AD. American Indians concentrated their villages on high natural levees of the river and large bayous, living off fish, reptiles, and mammals. The Chitimacha tribe has the longest historical association with the area. In 1650, the Chitimacha had a population in the Atchafalaya Basin of some 4,000 people. In 1812, President Thomas Jefferson sent Captain Amos Stoddard to explore the Louisiana coastal plain, including the Atchafalaya Basin. Stoddard was one of the first explorers to describe the string of lakes and bayous that lace together the Atchafalaya Swamp. That swamp was heavily logged from about 1890 to 1915, after which logging was banned. Deteriorating cypress stumps standing like tombstones dot the Atchafalaya Swamp today about as far as the eye can see. This is one of the most biologically diverse places in North America. It’s also one of the most engineered landscapes in the world with canals and levees seemingly everywhere. Development of an important floodway started after the disastrous Mississippi River flood of 1927, when the U.S. Congress stated: “This will not happen again.” That’s when the Mississippi River began being leveed in earnest. As part of that project the Atchafalaya River Basin Floodway was created. That Basin became the main distributary of the lower Mississippi, designed to take half of the Mississippi River’s flow during a major flood. In spite of all the engineering that’s gone on in the system–the place is still one million acres of continuous almost unbroken wetland habitat. It’s significantly engineered but yet at the same time remains wild. Completed in 1963, what’s known as the Old River Control Structure near Simmesport, Louisiana prevents the Mississippi River’s current from joining the Atchafalaya’s. Today the Atchafalaya River receives water from the Red River and from that portion of the Mississippi that is diverted through the Old River Structure. The Atchafalaya Basin Swamp is larger than the Okefenokee Swamp of Georgia and Florida. It constitutes an immense natural floodplain of the Atchafalaya River. The Atchafalaya Basin can be divided into three distinct vegetative types: (A) Bottomland hardwoods, (B) Cypress-tupelo swamp, and (c) Coastal marsh. Hardwoods are located in the northern part. The central area s the home of many bald cypress trees. This is that part of the Atchafalaya Basin that has the “swamp image” most frequently associated with the Atchafalaya. In (B), coastal marsh trees are not present, providing a feeling of openness. The tree line between swamp and marsh is frequently the location for wildlife such as Bald Eagles. Alligators are found in all three areas but are more frequently seen in bottomland areas and in the coastal marsh. Lack of land for nesting purposes severely limits the alligator population in the cypress swamp. Some of America’s best outdoor recreation is found in the swamps, lazy bayous and hardwood forests of the Atchafalaya Basin Floodplain. Hunters, anglers, bird watchers, hikers, paddlers, bicyclists and others enjoy unique wilderness experiences year-round. 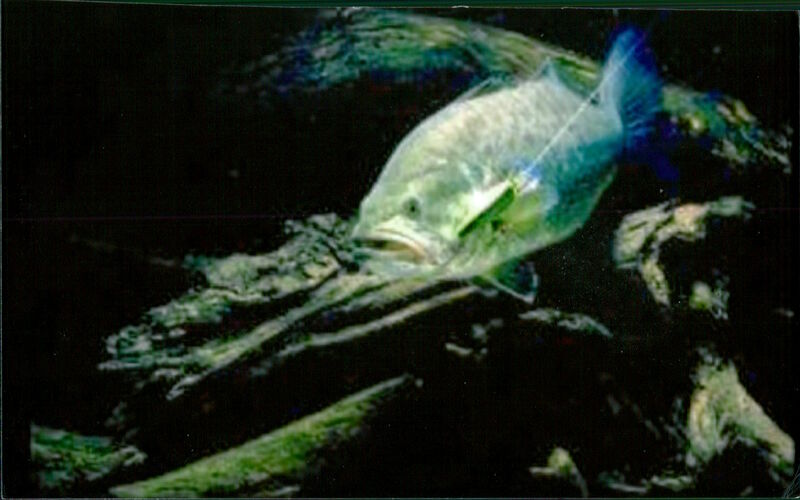 Many anglers in the Atchafalaya Swamp seek Largemouth Bass. 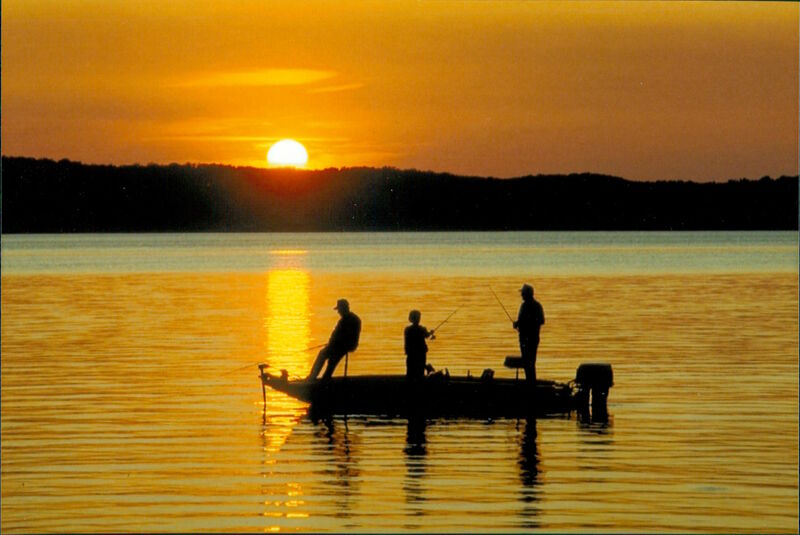 The Atchafalaya Basin is the most popular fishing area in Louisiana. It supports large populations of Largemouth Bass, Spotted Bass, White Bass, Striped Bass, Crappie (known locally as sac-a-lait), Sunfish (Bream), Catfish, and Freshwater Drum (gasper-gou). Anglers often catch large numbers of fish in the Basin, especially when water levels are falling. Blue crabs, shrimp and crawfish are harvested both recreationally and commercially in the Basin. The region’s warm climate provides a fostering environment for a host of plants and wildlife species. The North American otter is a frequently seen mammal. 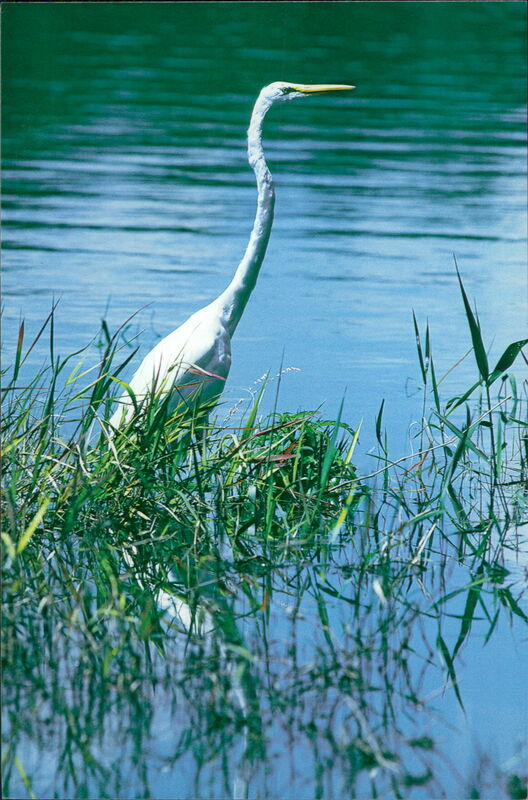 This species is found in many wetland areas of the state, including the Atchafalaya Basin. When fully mature, river otters are three to four feet in length. The Louisiana Black Bear is a subspecies of the North American Black Bear and is found in swampy areas throughout southern Louisiana. Once an abundant species, the Louisiana Back Bear’s population has declined due to over-hunting and habitat destruction. Among the birds to be seen here are Roseate Spoonbills, which have pink-colored feathers and a green head. 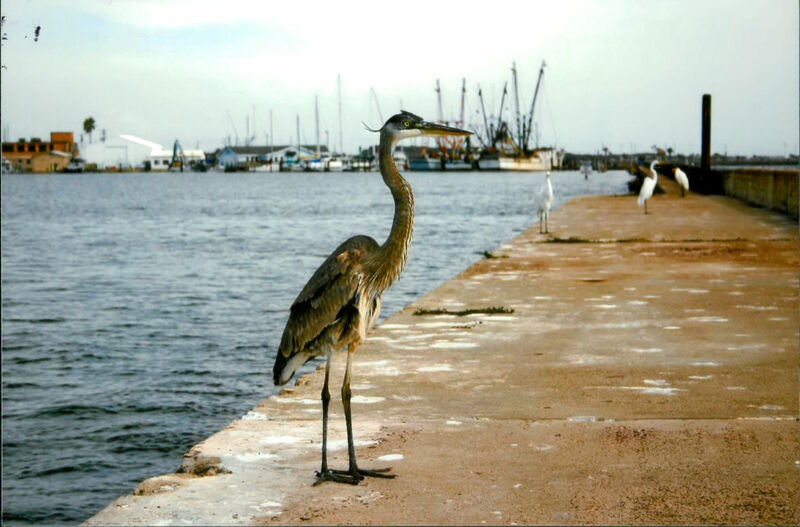 The color of the bird’s feathers comes from the large quantities of shrimp that it eats. Shrimp are a vital part of the Spoonbill’s diet. One of the more common trees seen in the Atchafalaya River Basin, the Bald Cypress is a coniferous tree that does not lose its foliage in the winter. Bald cypresses dwell in or close to the water’s edge. They can reach heights of 130 feet. Water tupelo trees are found in swampy areas throughout the Basin. Roots of this tree are often submerged in water. Head out for a day of paddling under live oaks dripping with Spanish moss, through cypress tree forests in the swamp. 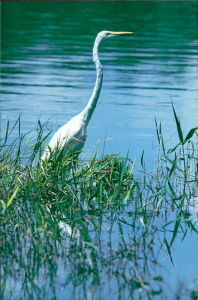 Watch graceful egrets and roseate spoonbills take wing while glimpsing an alligator slide into the water. There’s no better snapshot of the Atchafalaya’s bounty than that taken from the water. For expert guidance while paddling, contact Bayou Teche Experience, Breaux Bridge, Louisiana, tel. 337-366-0337. 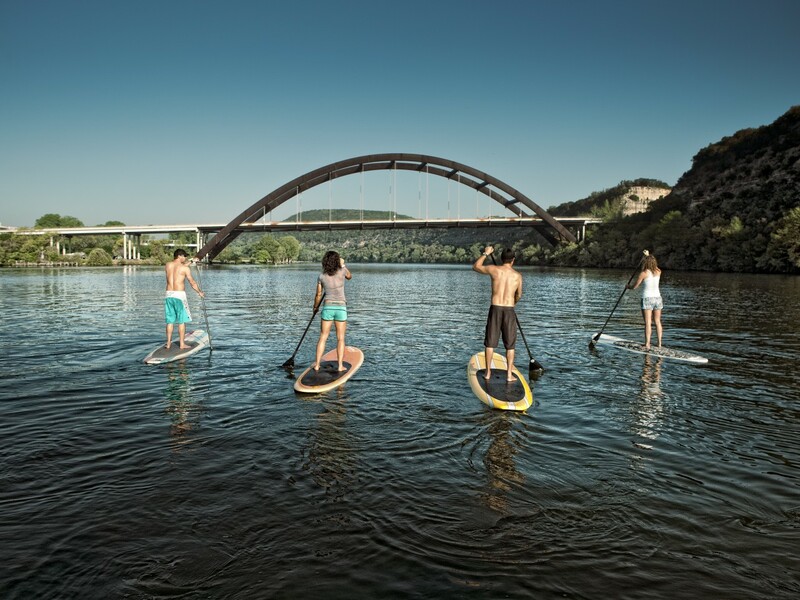 Also, Oxbow Paddle Company, 6716 False River Road, Oscar, Louisiana, tel. 225-485-8999. A fishing scene in the Atchafalaya Swamp Basin. Visitors exploring the Atchafalaya Basin today experience a wilderness that looks much like it did when European settlers arrived here 300 years ago. The Atchafalaya is considered by biologists and zoologists to be the most fertile swamp in the world and perhaps the most productive land in the Northern Hemisphere. 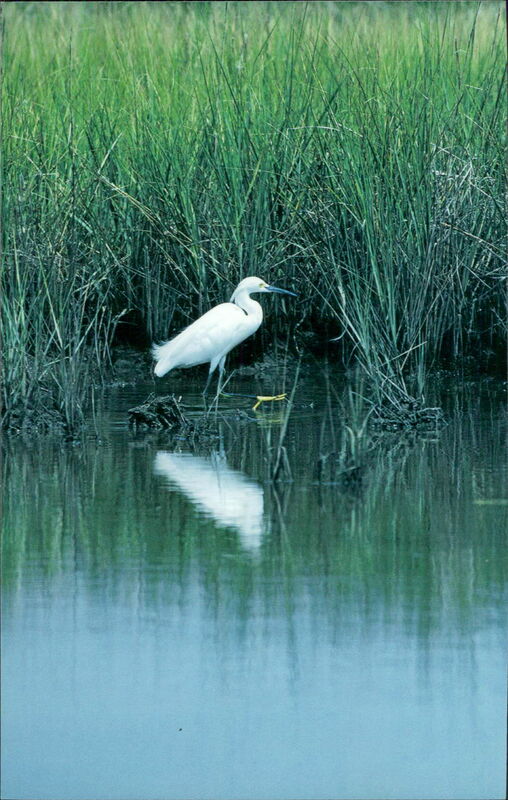 It is considered to be more alive biologically than the Everglades and the Okefenokee Swamp. The Atchafalaya is a natural resource that deserves the same national attention to its preservation as the Everglades has received. Remember when visiting here: regardless of the season, the Atchafalaya River Swamp is definitely not the place for someone who is unwilling to appreciate MUD. Many ecologists and environmentalists argue, mud is the best topsoil of the continent. Keep that fact in mind when visiting America’s distinctive foreign country. Monarch Butterflies Occupy Interlachen Country Club! This entry was posted in Features, General, Homepage Featured by Mary Syrett. Bookmark the permalink.